The start of DVDP (Dean Van Dis Photography): When I finished college, I worked freelance in other studios as a shooter. That was the process. Essentially I worked for myself. I like the freedom, the diversity of work, meeting different people all the time (including furniture designer Patricia Urquiola) and working in different settings. Working with izzy+: When I moved back from Portland (Oregon) to Grand Rapids, I started an izzy project working out of a studio through a local creative firm. When I quoted an 8-day project for izzy, I rented my own space. That was the first 100% Dean Van Dis Photo (DVDP) project. Long-term relationships: It’s cool I still work with izzy. Some of my success is based on that kind of repeat client business. DVDP has an easy way of doing things. It’s honest. It’s a good experience. It’s our West Michigan work ethic. I wanted to be… An architect. I am completely inspired by architecture and furniture design. It’s amazing to be in my hometown and be in these amazing places and take photos of these amazing products. What I don’t want to do: Not be active. Not be stimulated. Not be inspired. Seeing the world: Photography has allowed me to travel and experience different cultures. When I went to China, I was able to do the normal tourist things like see the Great Wall. I also went to rural areas, where we met local people. I saw that the joy of a child is the same no matter where they live in the world. Photography has… Changed my life. I’m excited because it started from nothing and it’s so successful now. I love that I’m quoting and billing projects, shooting in studio and on location, and mentoring talented people. Every aspect of it is awesome. Photography allows me to work with so many people. It’s a natural thing. It’s what I am. Editor’s note: The following is a post from Brandon Reame, izzy+’s Market Development Strategist. 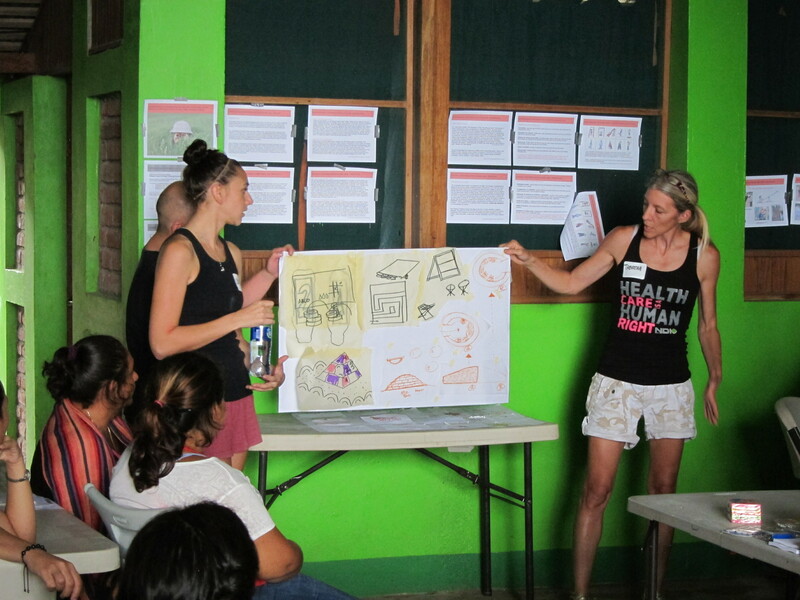 Brandon is leading our second annual “giving back through design” trip to Nicaragua, November 8-13, 2013. The designers on the trip with him won the opportunity during the 2013 Valentine’s Day promotion. Look for another post about the trip soon, and read about last year’s inaugural trip here! Many people join a company to do a job. One of the things that’s exciting about izzy+, is that our employees and collaborators are interested in more than just a job. They’re eager to make a difference, both within the company as well as the outside world. 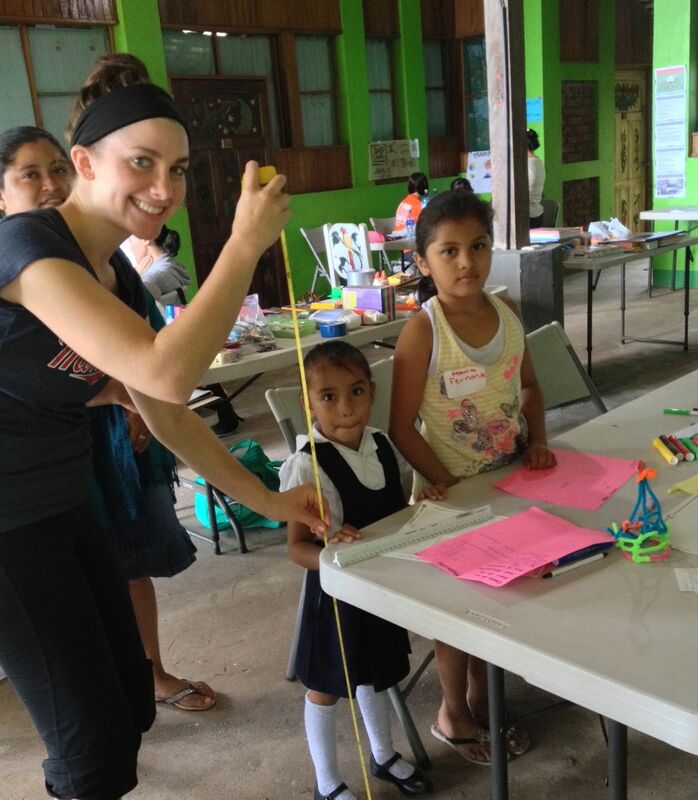 During the next few days, Melissa Huff (from our Chicago team) and I, along with the help of Grand Valley State University, have the pleasure of hosting six interior designers from around the country as we work together to improve elementary schools in one of the poorest corners of the world. We are in Ometepe, Nicaragua, a pair of volcanic islands found in the heart of freshwater Lake Nicaragua. Ometepe is the largest volcanic island inside a fresh water lake in the world. Additionally, Lake Nicaragua is the 19th largest freshwater lake in the world, and 9th largest within the Americas. The climate is tropical, and several varieties of monkeys are found throughout the area. It’s always fun exploring a new country and culture, especially with a new group of travel companions and collaborators. While on paper the country can be described as poor, the opportunity to live and work side by side with the local Nicaraguans is a very rich experience. This beautiful country is rich in culture, history, and its people are dedicated to improving the lives of their future generations through education. We will be sending updates throughout the trip via izzy+ social media. Be sure to add, like, bookmark, and follow us on Twitter and Facebook! What does dog sledding have to do with seating ergonomics? Or what does a manufacturing plant have in common with a herd of reindeer? And why would two furniture companies based more than 4,000 miles apart decide that a partnership is a great idea? For more than eight years, izzy+ has been making treks to visit the Norwegian side of its family and uncover answers to those questions and more, firsthand. Most recently, in March, it was a group of 11 izzy+ sales representatives who traveled to Norway, where HAG has been based since it began designing and making workplace seating in 1943. izzy+ founder Chuck Saylor met HAG leaders in early 2004, when izzy+ was just three years old, and the two companies announced alliance at NeoCon that June. While the commonalities of the two companies sparked the partnership, it’s their differences that inspire such a vibrant collaboration—and make these regular treks to Norway so important—according to Rune Akselberg, a native of Norway and Vice President of Sales and Market Development at izzy+. The Norway trips, which include time in Oslo, where HAG is headquartered, and Roros, the small mountain village where HAG’s main plant is located, are all about learning through active participation in the culture, not passive observation. 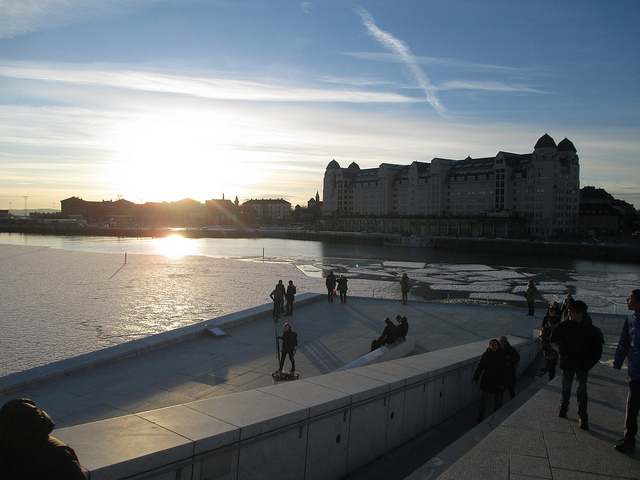 For instance, at the Oslo Opera House, izzy+ groups see another type of Scandinavian design, experiencing how form, function, and people come together. When they visit a dog sled camp, they learn basic dog sledding techniques, then harness the dogs on sleds and go on a thrilling ride into the mountains. After dog sledding, the group convenes around a big fire in a teepee, where they eat, drink, and share stories—perfect object lessons in HAG’s focus on movement and izzy+’s Better Together philosophy. “Dog sledding is an experience like no other, and it perfectly demonstrates the HAG philosophy around balance, movement, and the environment,” says Akselberg. Laura Connell, who is based at the Chicago izzy+ showroom, says immersing yourself in Norwegian culture really makes a difference. She uses the word “profound” to describe her experience in Norway this past March. More than anything, Akselberg loves seeing groups of izzy+ travelers return home with stories to tell and a deeper, more passionate understanding of HAG, their Norwegian family. 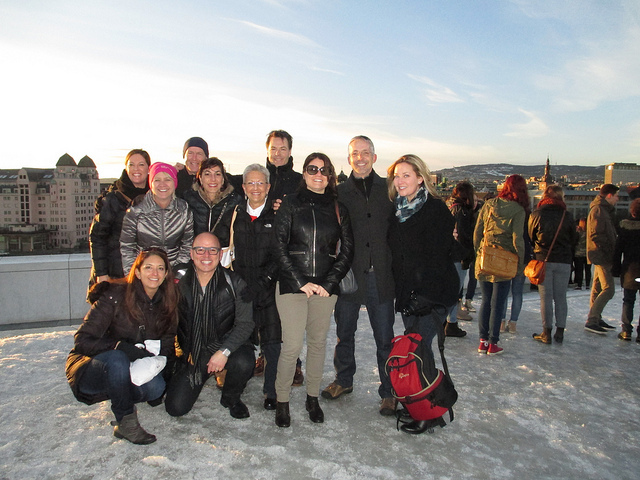 Pictured at the top of the post is the izzy+ group that traveled to Norway in March (photo by Stacy Marcus). Below are photos of the izzy+ group preparing to go dog sledding; people congregating and walking on the new Oslo Opera House (both photos also by Stacy Marcus); and a recent outcome of the izzy+-HAG collaboration: HAG Capisco Puls seating, pictured with Dewey 6-Top tables. In the minds of many, it looks high tech and new—a complex array of technology and apps waiting to be woven into traditional curricula and classrooms. Others believe the future of learning should more closely mimic the ways people learned long ago—more collaboration, more Socratic dialogue, and more opportunities for hands-on discovery. At izzy+, we think the key is balancing the two—utilizing time-tested person-to-person learning approaches, along with the best advances technology has to offer. Brandon Reame, izzy+’s Market Development Strategist and education research guru, says schools and colleges just need to ensure that two critical components exist: a focus on people, and plenty of flexibility inherent in the learning spaces. 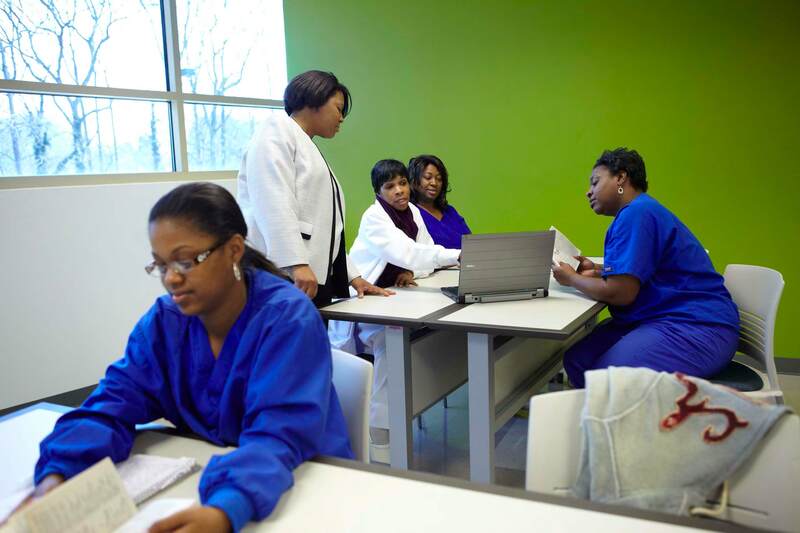 Over the past few generations, a move toward one-size-fits-all education has gradually become a system that some compare to a factory, as a recent Fast Company article, “Replacing The Classroom-As-Factory With Collaborative Learning,” suggests. Reame says technology provides a variety of tools to help move teaching and learning away from a factory model. Technology, after all, allows people to learn anywhere at any time, at their own pace and in their own way, accessing more information and connecting with more people than ever. The challenge, however, is to make sure these new approaches are applied in meaningful ways and in tech-friendly, flexible learning spaces. …finding ways to motivate students in our classrooms shouldn’t start with conversations about technology. Instead, it should start with conversations about our kids. What are they deeply moved by? What are they most interested in? What would surprise them? Challenge them? Leave them wondering? Once you have the answers to these questions — only after you have the answers to these questions — are you ready to make choices about the kinds of digital tools that are worth embracing. 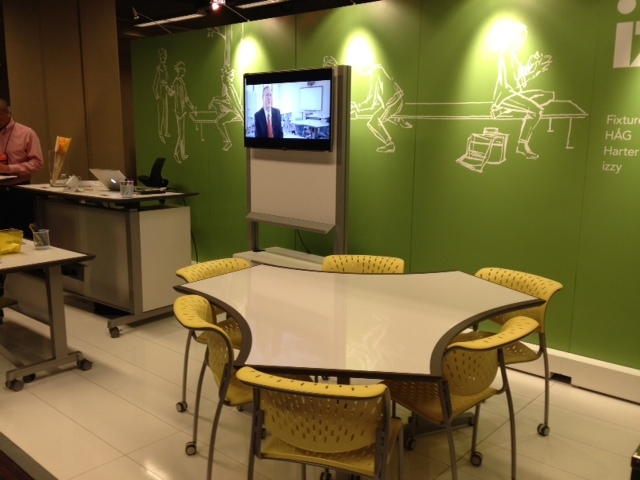 The Dewey Connection Cart and 6-Top Table help instructors integrate technology into the classroom while ensuring students are able to easily converse and collaborate. 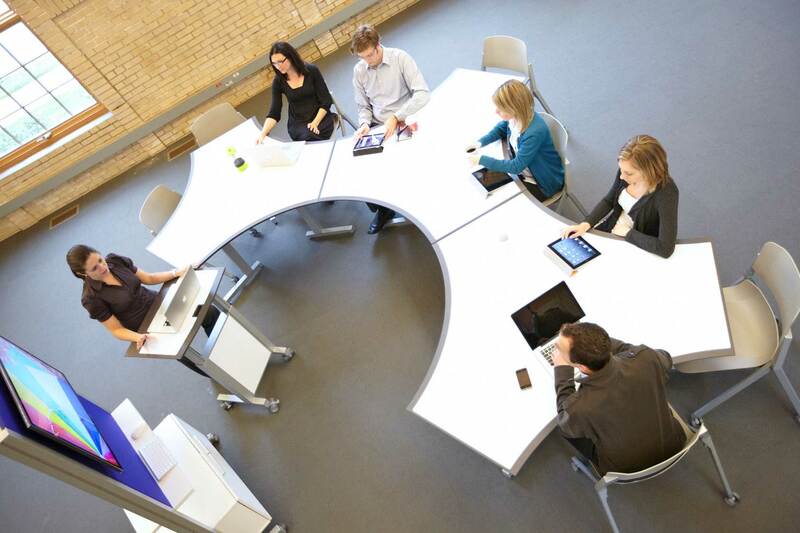 Several Dewey 6-Top Tables can be pushed together for flexible, collaborative set ups. Dewey Connection Carts and Lecterns help instructors integrate technology. 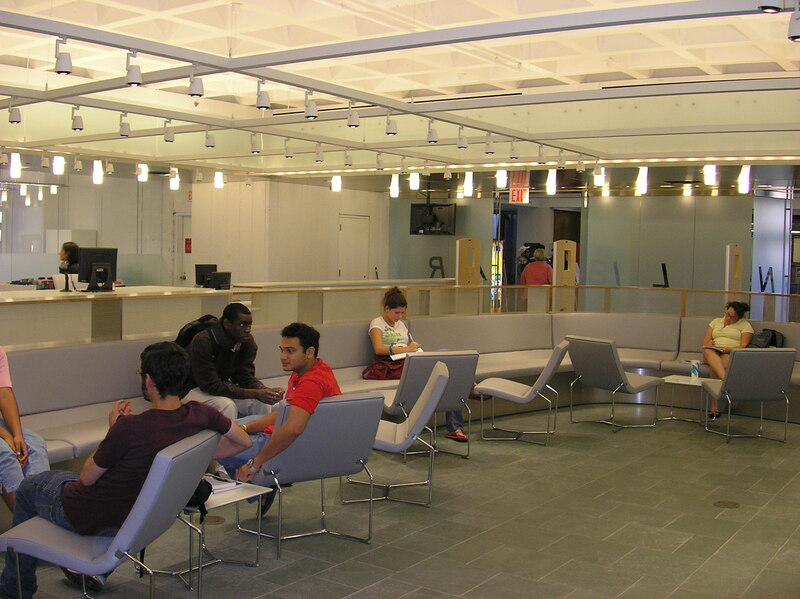 Comfortable third spaces, like this one featuring Harter Forum lounge seating, are critical in learning environments because they accommodate both informal gatherings and solo study time. It happens every day: We’re working through a problem or wondering about a fact, and mere seconds later we have answers. Learning today is easier than ever. Information is at your fingertips when you’re holding nothing more than a smart phone in your hand, and even university classes (like the new offerings recently announced through MIT and Harvard) are readily available. But as some things about learning become more simple, other aspects become more complex. What do we lose when we replace face-to-face interactions with face-to-computer-screen time? Is information valuable on its own, or are conversation and collaboration required to fully leverage it? How can we make the most of all that technology offers without losing the important interactions that have always shaped working and learning experiences? “Blended Learning” is an educational approach that strives to answer those very questions—it’s all about finding the right balance between human interaction and technology. In education, the Blended Learning equation looks like this: Face-to-Face + Synchronous Conversations + Asynchronous Interactions = Strong Online Learning Environment (see the Edutopia link at the end of the post for more on that). In other words, online and face-to-face interactions are stronger when blended together than they are apart. Not surprisingly, many Blended Learning principles apply to the workplace and to life in general (after all, we never stop learning). At izzy+, we care a lot about this because we’re big fans of learning and technology, and even bigger fans of people. Finding the right balance—one that makes the most of available tech innovations and also makes the most of what it means for people to be Better Together—plays a big part in how we think about designing for the future of work and learning. 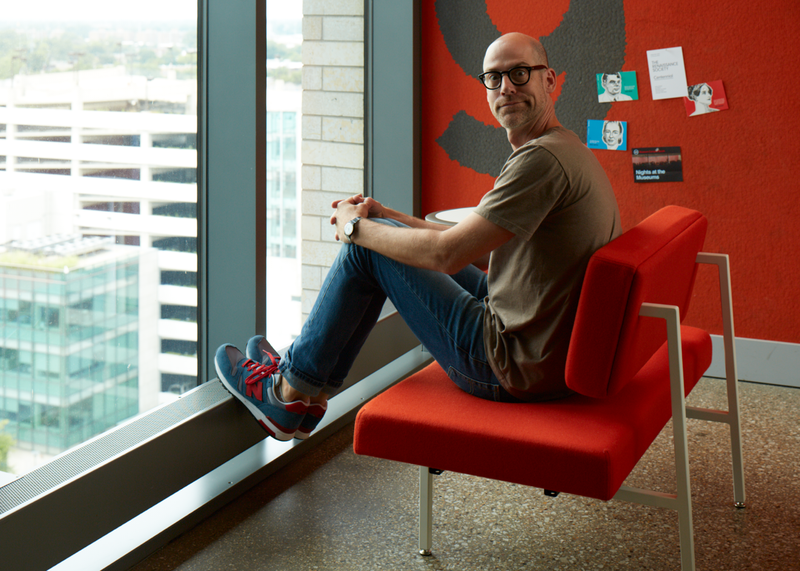 izzy+ founder Chuck Saylor says that making the most of available technology and knowledge requires making the time and space to interact with people. And even though technology makes it possible for us to work and learn anywhere—we are no longer confined to desks, offices and classrooms—at the same time we need to be somewhere. Saylor says we should be more concerned than ever about our spaces. They should inspire creativity, learning, and connection with others, as well as support technology. – For a great overview of Blended Learning in the education environment, check out this Edutopia post. – For more about the recent announcement of edX, the new nonprofit partnership to offer free online courses from M.I.T. and Harvard, read this New York Times article. – Here’s a great book to read about how places and spaces affect us: The Power of Place: How Our Surroundings Shape Our Thoughts, Emotions and Actions, by Winifred Gallagher. – And if you want to learn more about our line of Dewey products (pictured above), visit the “learning” section of our website. 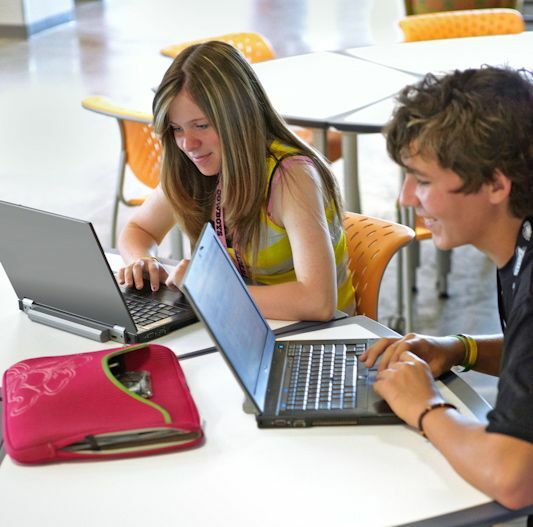 Dewey was designed specifically to support human connection and technology in all types of learning environments. Everyone seems to have an opinion when it comes to workplace design. Some are big fans of the open plan, while others long to carve out their own space (ideally with a door they can close!). Some love the creative buzz and serendipitous collaboration that’s a result of everyone being in the mix together, but others fight against the distractions in desperate attempts to protect their productivity. Not surprisingly, much has been written about today’s workplace design, and its impact on everything from innovation and collaboration to productivity. One recent study suggests that “ambient background noise or buzz of conversation in public places”—like coffee shops—”can fuel creativity.” Other articles, like this one about brainstorming, say that the unplanned conversations and debates that happen when people randomly cross paths are more effective than scheduled sessions (which means architecture and office layout play an important role). At izzy+, we have always believed that people are “Better Together,” and that workplace design plays an important role in the Better Together equation. With so many needs, pushing and pulling from all directions, it’s easy to wonder if a work environment that’s ideal for everyone is even possible. Luckily, many workplace psychologists and designers (including izzy+!) believe it is! 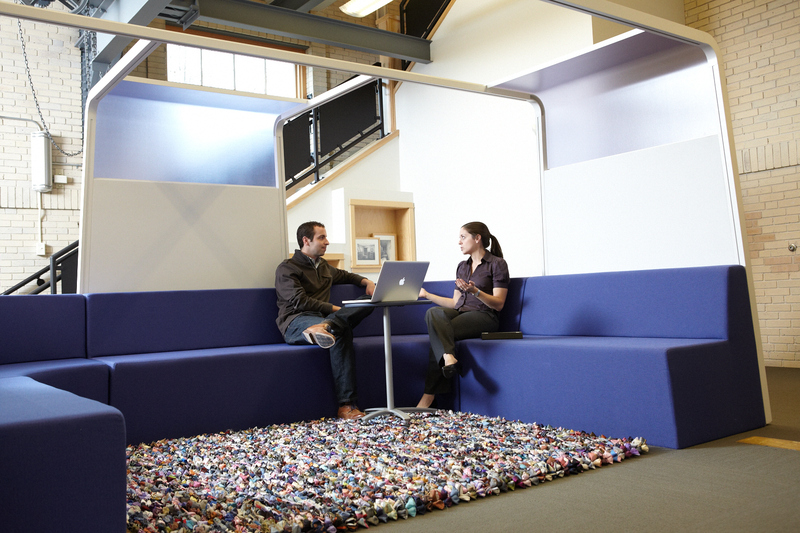 One recent New York Times article suggests that the best workplace design incorporates something for everyone. That doesn’t mean some people get cubicles, others get private offices and others get desks in open-plan spaces, according to their set-in-stone preferences. Rather, it’s design that assumes each individual has different needs at different times, depending on their project, task, and mood. It’s design that’s flexible, adaptable, and offers a variety of options. But on Habitat for Humanity work sites, those lines are blurred. Volunteers don’t learn a skill and then do it, they learn as they do it. Similarly, someone who is a “learner” in the morning might be a “teacher” after lunch. The teaching and learning takes on a slightly more formal bent through the Habitat chapter’s collaborations with local schools. Students who take the “New Construction” course at Grand Rapids Community College apply their knowledge about sustainable building to Habitat homes; a Grand Rapids Public School magnet called the Academy of Design and Construction also extends its classrooms to Habitat building sites (pictured above). And at the end of the day, they can also point to what their knowledge helped them make. “There’s something special that happens on a Habitat site, with everyone learning and working together,” Hall says. This level of engagement and concrete accomplishment are also at the heart of a new Youth Recording Arts Academy—a joint project of the Grand Rapids Community Media Center and the Mackinaw Harvest professional recording studio. The intense, 12-week program focuses on hands-on work and experimentation in the recording studio, as well as developing “soft skills” like reliability and teamwork. Laurie Cirivello of the Community Media Center has witnessed the benefits of active learning, both in the at-risk teens at the Academy, and as a parent to two non-traditional learners. Allison Roon, an interior designer, adjunct professor and long-time izzy+ consultant, says there’s an entire field of study backing up why learning is more effective when it’s more active. Roon, who has a Master’s degree in Adult and Higher Education, says “active learning” is all about students creating meaning through experiences and reflection (she cites scholar and professional consultant L. Dee Fink). Not surprisingly, all of these shifts in teaching and learning ultimately impact built learning environments—whether you’re looking at more flexible and collaborative ways to design classrooms or you’re creating cafes and lounges that encourage informal learning and conversation. 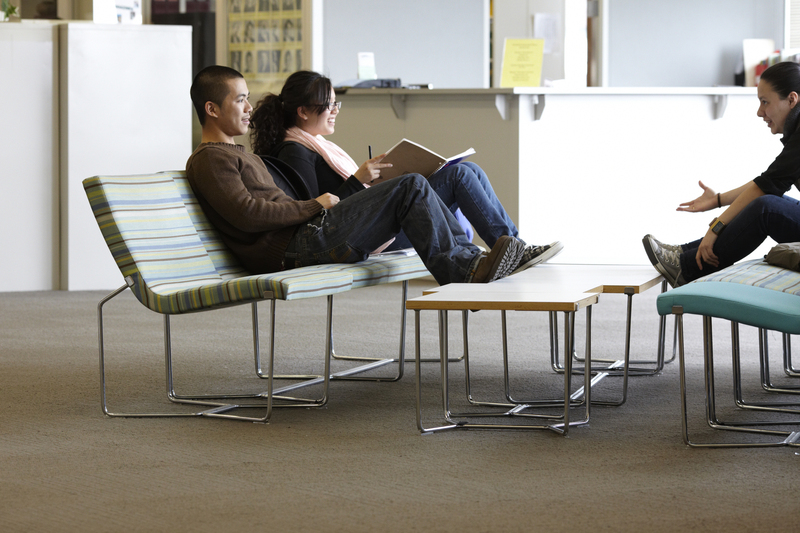 Roon says universities across the country are starting to minimize their number of traditional classroom spaces to allow for greater informal learning spaces. 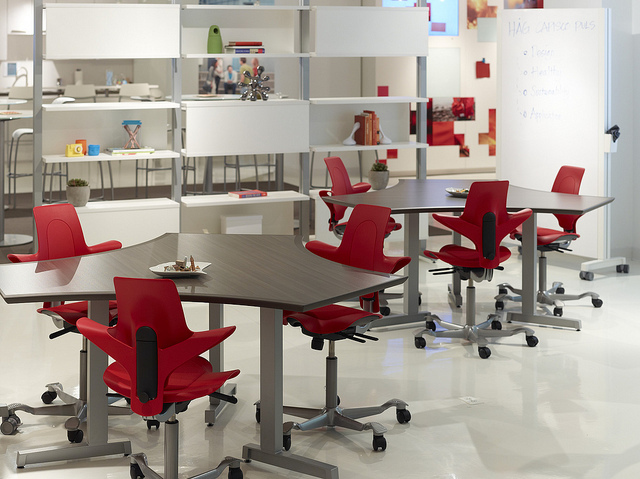 Some schools in Europe have even hit a 60 to 40 ratio of formal to informal spaces. For more on our learning products and research, be sure to check out the Learning section of our website.